Enjoy talking to your Google Assistant on your phone, but don’t like using the traditional “OK Google” trigger? Well, you don’t have to anymore. Google is finally letting people use the much more intuitive alternative “Hey Google” to wake up the virtual assistant. 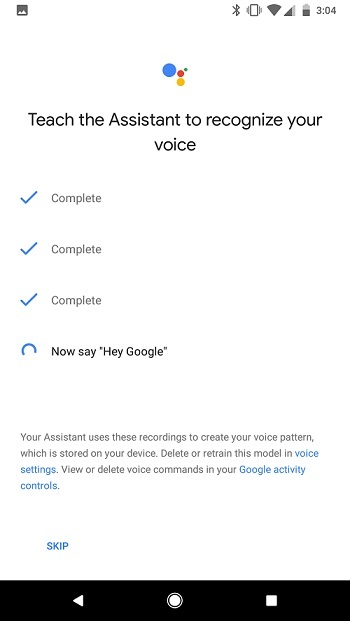 Users from all over the world have started receiving a prompt to setup voice recognition with Google Assistant, with the new command being included. Smartphone owners were asked to repeat a few phrases a few times including “Hey Google” in order to retrain their voice model settings. Don’t be worried if you’ve grown attached to the old “OK Google” phrase, you can keep using it if you prefer it. It’s up to you! The “Hey Google” command was already available for Google Home owners, but now the search giant is expanding its availability to phones. Back in October, Google started testing the new way to interact with the Google Assistant on smartphones, but made it available only to a few select users. Speaking of the Assistant, Google recently started rolling it out for Android smartphones running the older Lollipop version. The Mountain View-based company also said the virtual assistant will make its way to tablets starting this week. Will the “Hey Google” hotword work on slates? It remains to be seen. If you haven’t received a prompt on your device, you can manually check whether the new hotword is available for you by checking Settings>Google>Search>Voice>Voice Match to see if the new command is there.